Install dependencies to run 32 bit Linux binaries on 64 bit Linux. How adjust the white balance of images in Linux. 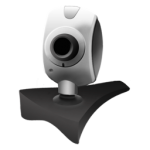 A simple example script that will capture images from a webcam on a Linux computer at the specific interval and save them off. This basic test runs a comparison of programming language speeds comparing a variety of popular embedded Linux boards. Did you ever think you would be able to sing along to a traceroute of hostnames?